In many countries, pastoralism has historically been practiced in areas that are now partitioned by international boundaries. This is a major barrier to sustainable resource management and to pastoral development. However, there are examples from around the world of efforts to facilitate transboundary movements and transboundary ecosystem management by pastoralists. 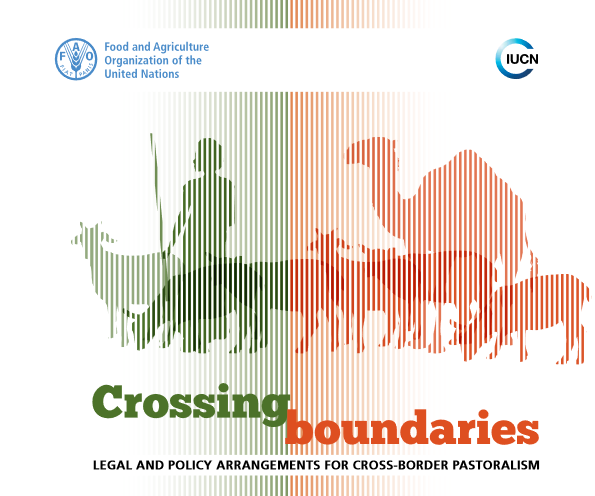 This report examines how pastoral mobility has been impacted by the creation of unnatural boundaries within their landscapes and how societies cope with these constraints through legal or informal arrangements.